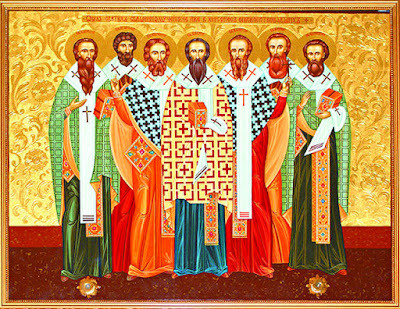 On the seventh of this month [March], we commemorate the Holy Seven Hieromartyrs of Chersonesos, the Bishops Ephraim, Basil, Eugenios, Agathodoros, Elpidios, Aitherios and Kapiton. Ephraim rejoices, bowing his head for beheading. Hands that tore apart the superstitious error. Who said, "I gave my back to floggings." Who in the river was washed of the flesh. And soon after departed to the Lord. 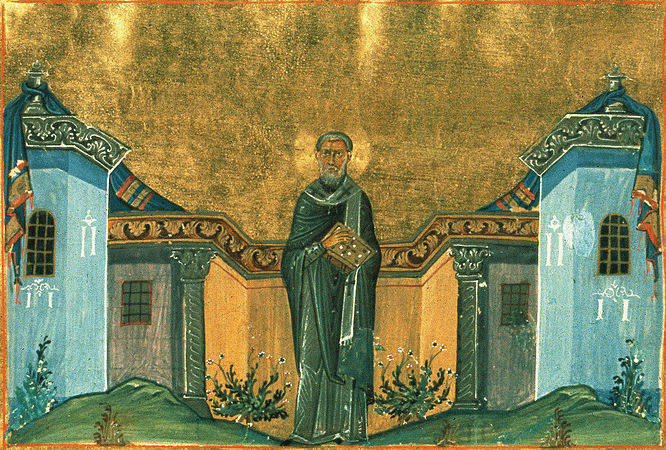 During the reign of Emperor Diocletian (284-305), in the sixteenth year of his reign, Hermon the blessed Patriarch of Jerusalem (300-314), sent Bishops to various nations to preach the apostolic word of God, and proclaim the faith of Christ. It was at this time the these our seven Fathers were sent to the region of Tauroscythae. 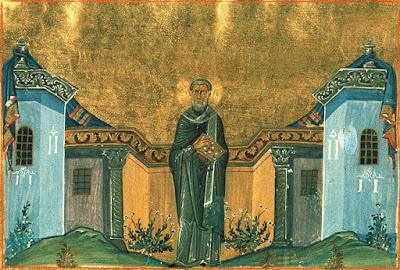 Saint Ephraim was sent to Scythia, and Saint Basil was sent to Chersonesos, which is next to Crimea, and arriving there he preached to the Greeks to change from impiety and wickedness to piety and virtue. When the Greeks heard these things, they thought the Saint was proclaiming a new civic life and was a corrupter of the ancestral religion they were used to. Therefore they beat him and drove him out of their city. Upon leaving the Saint went and settled in a cave known as Parthenon, and on the one hand he rejoiced and was glad that he was dishonored for Christ, while on the other hand he was grieved for the blindness and delusion of the unbelievers. Being in such a disposition, the Saint beseeched God for their correction and salvation. It so happened that the son of one of the officials of Chersonesos died and he was buried by his parents. Wherefore he appeared in the dreams of his relatives and said to them, "If you want me to live again, call for the stranger that you beat and drove away, and after you have come to believe in his teachings, plead with him to pray on my behalf." Hence they did as they were told, and they beheld the son rise again through the prayers of the Saint, and with the pouring on of water, he sanctified him as a type of Holy Baptism. Thus they believed in Christ with all their acquaintances and their household, and all were baptized. While those who remained in unbelief, with the instigation of the Jews who were there, grew angry against the Saint, and they tied him up with ropes, and they dragged him through the streets and markets. Having been dragged for a long distance, and grown fatigued, he delivered his soul into the hands of God, and received the crown of martyrdom. Meanwhile the blessed Ephraim also preached Christ in the place he was sent. After being captured by the idolaters, who were unable to persuade him to venerate the idols, they struck off his head, and he ascended wearing a crown into the Heavens. 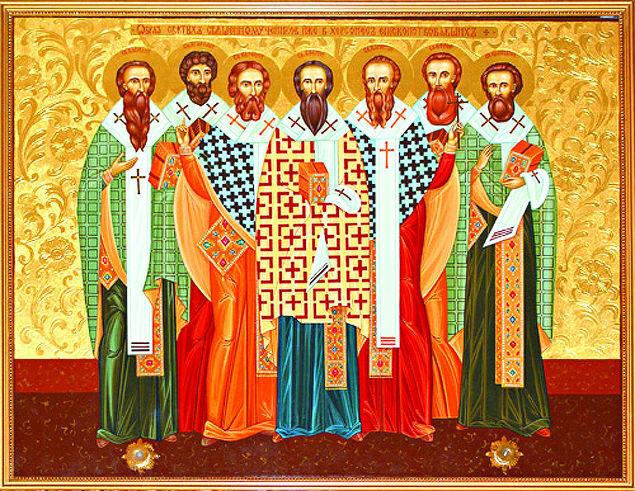 Eugenios, Agathodoros and Elpidios then went to Chersonesos, after Saint Basil was martyred, and there they proclaimed Christ. 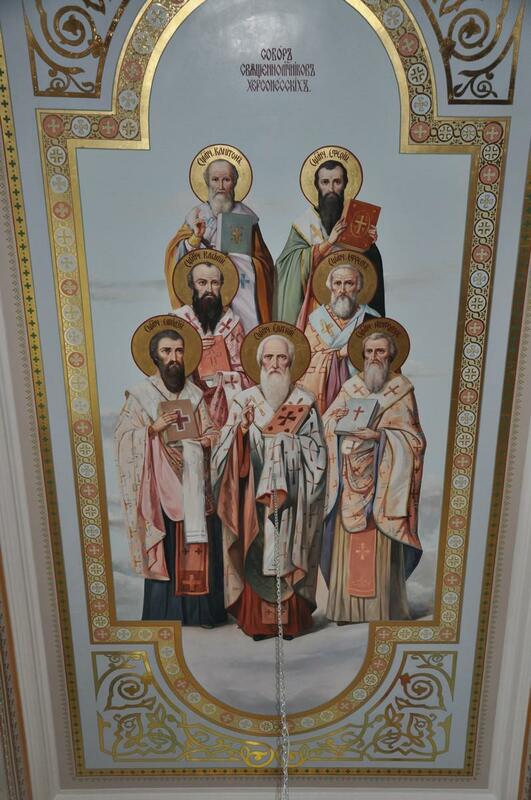 There the Greeks rose up and fell upon them, and after beating them they dragged them through the streets, and they were put to death on the sixth of the month of March, one year having passed since they killed Saint Basil. After a number of years, the Patriarch of Jerusalem sent a Bishop to Chersonesos, Saint Aitherios, who upon seeing the savageness and lawlessness of the people there, returned to Byzantium, to request of the emperor to have the lawless ones chastised. The emperor was Constantine the Great, in the year 330. Having succeeded in his request, with the hand of the emperor, the impious and unbelievers of the city of Chersonesos were banished, and in their place were placed pious men. For this reason Saint Aitherios returned to Byzantium, in order to thank Constantine the Great for this benefaction. As he was returning from Byzantium, he was drowned by the unbelievers in the Danube River, on the sixth of March. 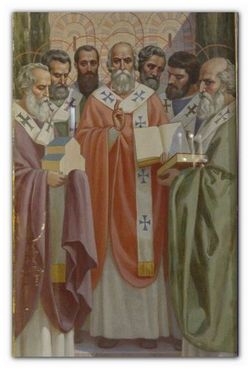 Thus the Christians of Chersonesos were without a shepherd, so they sent ambassadors to Constantine the Great, asking him to send them another Hierarch, and so the blessed Kapiton was sent there to be their Bishop. This caused the pious to rejoice and be glad, while the impious and unbelievers were grieved. Wherefore they sought from him a sign and miracle, that they may known through this which is the true faith, so they decided that whoever entered a lit furnace and emerged unscathed, to them belonged the true faith. For this reason the sacred Kapiton, dressed in his hierarchical vestments, with his stole around his neck, after sealing himself with the sign of the honorable Cross, he entered the furnace, and after standing within for a sufficient amount of time, he emerged unharmed and unscathed, with his garments full of lit charcoals. Therefore by this miracle, the Saint astonished the unbelievers and baptized them. After the people of Chersonesos came to believe, then the divine Kapiton departed to the Lord, on the twenty-second of the month of December. 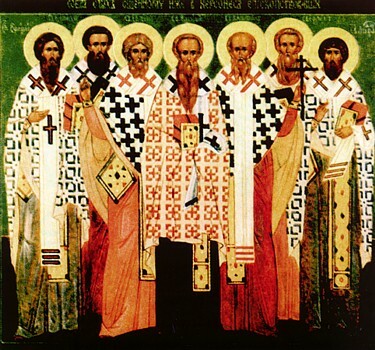 Hence the seven Hieromartyrs received from the Lord the crowns of the contest. 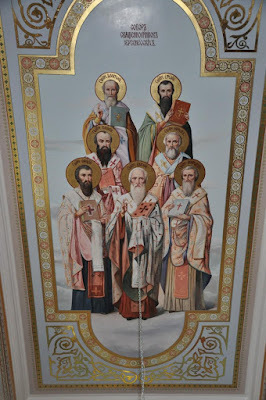 The sevenfold company of holy Hierarchs, Eugenios, Basil, Ephraim and Aitherios, Elpidios, Kapiton and Agathodoros have illumined the Church of Christ by their inspired struggles in contest. By their intercessions, O Christ our God, have mercy on us all. As unwaning stars of the Light of minds, you have made sleepers in the night of error into sons of Light, O Eugenios, Kapiton, Agathodoros, Basil. Aitherios, Ephraim and Elpidios, invincible in contest.